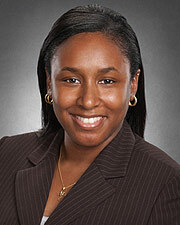 Ronda Alexander, M.D., serves as an assistant professor in the Department of Otorhinolaryngology-Head & Neck Surgery at McGovern Medical School at UTHealth. Since coming to Texas, she has helped establish the Texas Voice Institute, a comprehensive program for the management for the diagnosis and treatment of disorders and diseases that affect the voice and swallowing. Her clinical interests include the evaluation of hoarseness, spasmodic dysphonia, vocal tremor, vocal cord paralysis, extra-esophageal reflux and swallowing disorders. She is also specially trained to manage the unique needs of professional singers. She also has interests in neuromuscular disorders of the head and neck, including tension and migraine headache. #1. Concern, in my care, because I have problem of, horseness in my voice, so doctor, check, enter camera, in my mouth etc., then ask about surgery - I - UR ready. I said yes. Thank to *Dr. Alexander Ronda. #4. But in my case therapy was not. During visit care was provided very fair & good. The doctor was very friendly and personable. She answered my questions but was a bit vague sometimes. The problem of pain in my ears was not addressed, although I was treated for other conditions. Dr. Alexander is absolutely wonderful. She is friendly, attentive and caring. If I could see her for other concerns, I would. Dr. Anderson was excellent about explaining every aspect of procedure and treatment options. an excellent physician. Left appointment feeling confident in provider, comfortable with treatment plan and knowledge that my concerns down the road would be addressed promptly. saw ENT briefly. she was very helpful. did not catch her name. did not call prescription to pharmacy, had to call back twice to get it called in! I really enjoyed having a doctor that will talk to you. I was not expecting this in a Houston Hospital. Dr. Alexander and staff are the best! Dr. Alexander was as pleased as I was with my continued success! *Dr. Alexander, was very rude to me about looking at screen: for the results of [.....]. Gave me advice with her back to me as she was leaving the exam room with intern. Doctor is very cheerful and caring. Very good experience: *Dr. Alexander was a referral for better care. She is really good. I would certainly recommend her to any having the problem that I am having. She is just slow to see you once you get back into an examining room. However aggravating that is to me, she is still one of the ver y best in my opinion. Dr. Alexander is the ABSOLUTE BEST and I would very highly recommend her!! !